Every school environment is different, so chapters can vary regarding how they are led, how often they meet, etc. However, all prospective chapters go through the same easy application process and adhere by the simple guidelines for maintaining that chapter. 2. Once we receive your application, we will review it. If appropriate, we may plan a meeting with you to establish communication. Then we can add you to our list of official Chapters. 3. Following this communication, you will receive "YES in a Box" containing a variety of items pertaining to our organization and tips to get you started. Note: You can also start a Chapter in conjunction with a previously established human rights coalition, social justice club, or youth group. Simply circle the appropriate affiliation on your application. Now that you are officially a YES chapter, there are some simple requirements you must follow. 1. Hold at least three events each year. Whether that is an event with speakers, presentations, or simply a fundraiser, we ask that you take action. After holding an event, you should let us know so we can publicize your efforts and success by sending photos and short write-ups about what was accomplished. 2. 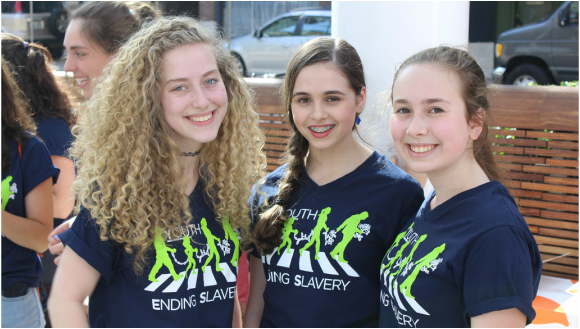 Make at least one donation to an anti-trafficking organization each year. As well, you should notify us of where your funds are going so we can share your contribution with our audience. 3. If your school or chapter is located in the Portland area, have at least two representatives from your chapter attend all major YES events. 1. Communication is key. We like to know what you are up to and where you are donating money so we can be aware of your progress. As well, we can publicize your events and help grow your Chapter. We will also send out a monthly YES Chapter Update that informs you what we are planning as well as what our other chapters are up to. 2. Get creative with events. Several ideas include benefit concerts, a Walk, bake sales, dance competitions and petition parties. 3. Educate your chapter. When you are informed, you can better inform others. We have many resources under our Slavery Today tab, utilize them! Put on a screening of one of the documentaries for your school, or read one (or more) of the books with your club.